Thomas Chippendale died of a suspected heart attack after winning the Hardwicke Stakes at Royal Ascot for trainer Lady Cecil and jockey Johnny Murtagh. 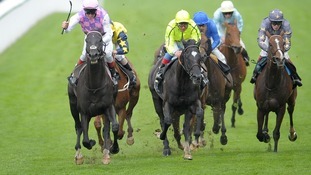 The four-year-old colt collapsed after passing the line in a dramatic renewal of the Group Two over a mile and a half. 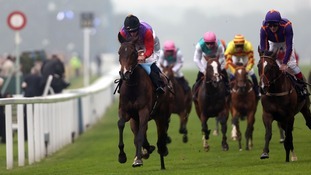 Murtagh said: "He ran his heart out and was pulled up at the line. He lost his balance and I don't know what happened to him. "It's heartbreaking for everyone involved - it should have been a great win. It's just devastating the way it's finished". The 9-4 favourite, Ektihaam, also slipped up on the bend and gave Paul Hanagan a nasty fall, but both the former champion jockey and the horse were reportedly unscathed. 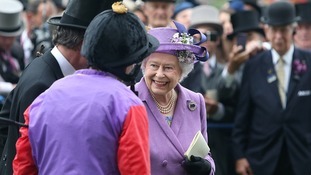 The Queen's Vase could prove an emotional race at Royal Ascot later today if Disclaimer wins. Following the death of Sir Henry Cecil last week, this year's renewal is being run in memory of the man who trained more Royal Ascot winners than anybody else, with his record standing at 75. Disclaimer is trained by Sir Henry's widow Lady Cecil who has taken out a temporary licence to keep the stable running. 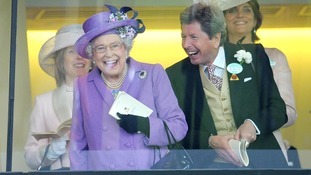 The Queen's horse Estimate has won the Gold Cup at Royal Ascot. 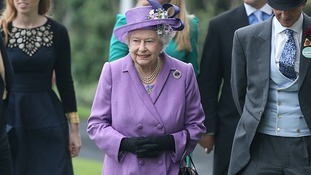 The Queen has arrived at Royal Ascot ahead of the Gold Cup which is due to take place at 3.45 pm today. 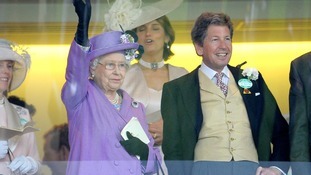 The Queen will be hoping her horse Estimate repeats its achievement from twelve months ago and triumphs in the race. 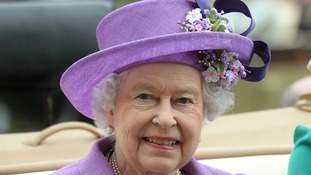 Having been tipped to wear pink to the annual event, the Queen instead chose a purple hat. 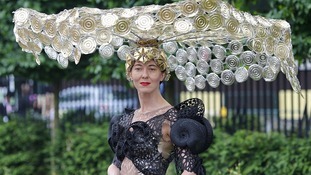 Racegoers have flocked to Royal Ascot as Ladies' Day kicked off with the usual array of flamboyant hats and dresses. 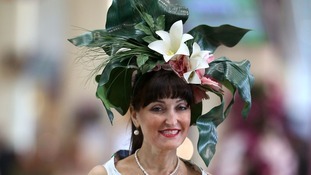 The annual event is renowned for its display of the latest hat trends and this year's guests did not disappoint. Racegoers' extravagance does not stop at hats with over over 51,500 bottles of Champagne, 35,000 spears of Asparagus and 2,050 kg of fresh lobster consumed last year.